Captain Joe Ronnie Hooper was a Vietnam veteran whose total U.S. combat medals and awards surpassed those of Lieutenant Audie Murphy in WWII and Sergeant Alvin York in WWI. He was the recipient of America's highest military award for valor in combat - the Medal of Honor. During two tours of duty with Delta Company, 2nd Battalion (Airborne), 501st Infantry, 101st Airborne Division, he received the Medal of Honor (21 February 1968 outside of Hue), two Silver Star Medals for gallantry, 6 Bronze Star Medals for heroism, 8 Purple Hearts, and the Combat Infantryman Badge. He is credited with 115 enemy kills in ground combat, 22 of which occurred on 21 February 1968. Joe Ronnie Hooper was born on 8 August 1938 in Piedmont, SC. His family moved when he was a child to Moses Lake, WA where he attended Moses Lake High School. Hooper enlisted in the U.S. Navy in December 1956. After attending Basic Training at San Diego, CA, he served as an Airman aboard USS Wasp (CV-18) and USS Hancock (CV-19). He was discharged in July 1959, shortly after being promoted to Petty Officer 3rd Class. Hooper reenlisted in the U.S. Army in May 1960 as a Private First Class and attended Basic Training at Fort Ord, CA. After graduating he volunteered for Airborne School at Fort Benning, GA, and then was assigned to Company C, 1st Airborne Battle Group, 325th Infantry, 82nd Airborne Division at Fort Bragg, NC and was promoted to Corporal during his assignment. He then served a tour of duty in Korea with the 20th Infantry in October 1961 and shortly after arriving he was promoted to Sergeant and was made a Squad Leader. He left Korea in November 1963 and was assigned to the 2nd Armored Division at Fort Hood, TX for a year as a Squad Leader and then became a Squad Leader with Company D, 2nd Battalion (Airborne), 502nd Infantry, 101st Airborne Division at Fort Campbell, KY. He was promoted to Staff Sergeant in September 1966 and volunteered for service in Vietnam. Instead he was assigned as Platoon Sergeant in Panama with the 3rd Battalion (Airborne), 508th Infantry, first with HQ Company and later with Company B.
Hooper couldn't stay out of trouble and suffered several Article 15 hearings; he was reduced to Corporal in July 1967. He was promoted once again to Sergeant in October 1967 and was assigned to Company D, 2nd Battalion (Airborne), 501st Infantry, 101st Airborne Division at Fort Campbell and deployed with the division to Vietnam in December as a Squad Leader. Rank and organization: Staff Sergeant, U.S. Army, Company D, 2d Battalion (Airborne), 501st Infantry, 101st Airborne Division. Place and date: Near Hue, Republic of Vietnam, 21 February 1968. Entered service at: Los Angeles, CA. Born: 8 August 1938, Piedmont, SC. Citation: For conspicuous gallantry and intrepidity in action at the risk of his life above and beyond the call of duty. 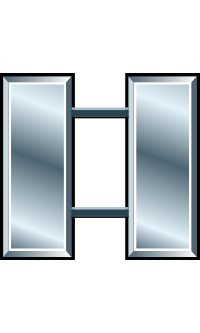 Staff Sergeant (then Sgt.) Hooper, U.S. Army, distinguished himself while serving as squad leader with Company D. Company D was assaulting a heavily defended enemy position along a river bank when it encountered a withering hail of fire from rockets, machine guns and automatic weapons. S/Sgt. Hooper rallied several men and stormed across the river, overrunning several bunkers on the opposite shore. Thus inspired, the rest of the company moved to the attack. With utter disregard for his own safety, he moved out under the intense fire again and pulled back the wounded, moving them to safety. During this act S/Sgt. Hooper was seriously wounded, but he refused medical aid and returned to his men. With the relentless enemy fire disrupting the attack, he single-handedly stormed 3 enemy bunkers, destroying them with hand grenade and rifle fire, and shot 2 enemy soldiers who had attacked and wounded the Chaplain. Leading his men forward in a sweep of the area, S/Sgt. Hooper destroyed 3 buildings housing enemy riflemen. At this point he was attacked by a North Vietnamese officer whom he fatally wounded with his bayonet. Finding his men under heavy fire from a house to the front, he proceeded alone to the building, killing its occupants with rifle fire and grenades. By now his initial body wound had been compounded by grenade fragments, yet despite the multiple wounds and loss of blood, he continued to lead his men against the intense enemy fire. As his squad reached the final line of enemy resistance, it received devastating fire from 4 bunkers in line on its left flank. S/Sgt. Hooper gathered several hand grenades and raced down a small trench which ran the length of the bunker line, tossing grenades into each bunker as he passed by, killing all but 2 of the occupants. With these positions destroyed, he concentrated on the last bunkers facing his men, destroying the first with an incendiary grenade and neutralizing 2 more by rifle fire. He then raced across an open field, still under enemy fire, to rescue a wounded man who was trapped in a trench. Upon reaching the man, he was faced by an armed enemy soldier whom he killed with a pistol. Moving his comrade to safety and returning to his men, he neutralized the final pocket of enemy resistance by fatally wounding 3 North Vietnamese officers with rifle fire. S/Sgt. Hooper then established a final line and reorganized his men, not accepting treatment until this was accomplished and not consenting to evacuation until the following morning. His supreme valor, inspiring leadership and heroic self-sacrifice were directly responsible for the company's success and provided a lasting example in personal courage for every man on the field. S/Sgt. Hooper's actions were in keeping with the highest traditions of the military service and reflect great credit upon himself and the U.S. Army. Hooper returned from Vietnam and was discharged in June 1968. 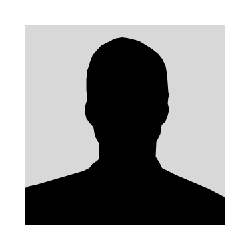 He reenlisted in the Army in September and served as a Public Relations Specialist. From July 1969 to August 1970 he served as a Platoon Sergeant with the 3rd Battalion, 5th Infantry in Panama. He managed to finagle a second tour in Vietnam. From April to June 1970 he served as a Pathfinder with the 101st Aviation Group, 101st Airborne Division (Airmobile) and from June to December 1970 he served as a Platoon Sergeant with Company A, 2nd Battalion, 327th Infantry, 101st Airborne Division (Airmobile). 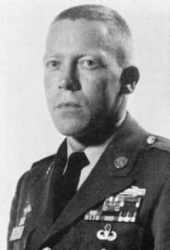 In December 1970 he received a direct commission to Second Lieutenant and served as a Platoon Leader with Company A, 2nd Battalion, 501st Infantry, 101st Airborne Division (Airmobile) until April 1971. Upon his return to the U.S. he attended the Infantry Officer Basic Course at Fort Benning and was then assigned as an instructor at Fort Polk, LA. Despite wanting to serve twenty years, Hooper was forcibly retired in February 1974 as a First Lieutenant, mainly because he barely had a GED and had taken only a handful of college courses. As soon as he was released from active duty he joined a unit of the Army Reserve's 12th Special Forces Group (Airborne) in Washington State, as a Company Executive Officer. In February 1976 he transferred to the 104th Division (Training), also based in Washington. He was promoted to Captain in March 1977. He attended drills only intermittently and was separated from the service in September 1978. Rumors persist that he became distressed by the antiwar politics of the time and took to excessive drinking which contributed to his death. He died of a cerebral hemorrhage in Louisville, KY on 6 May 1979 at the age of 40. Captain Joe R. Hooper holds a place with Sergeant Alvin York and First Lieutenant Audie Murphy (major in Texas National Guard) as one of the most decorated soldiers in U.S. Army history. He remains the one of the most decorated soldiers of the Vietnam War. Captain Joe Ronnie Hooper died of a cerebral hemorrhage in Louisville, KY, on 6 May 1979 at the age of 40. He is buried at Arlington National Cemetery in Arlington, VA, in Section 46, Lot 656-17, adjacent to the Memorial Amphitheater.